In a day that’s been overshadowed by Tyus Battle’s draft decision uncertainty, the Orange got some good news regarding its future. 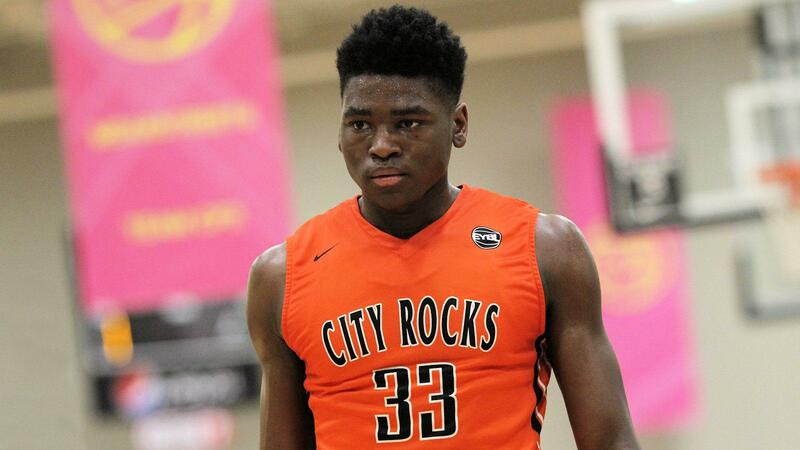 Five star center Isaiah Stewart put Syracuse in his top ten for potential landing spots. Stewart is a 6-foot-8 big man that checks in as 247Sports’ no. 8 recruit in the country. He hails from nearby Rochester where he played at McQuaid, but currently plays his high school ball at the prestigious La Lumiere School. The boarding school has produced recent talents like NBA bound prospect Jaren Jackson Jr., Michigan tournament hero Jordan Poole and the centerpiece of the NCAA’s FBI probe Brian Bowen. Stewart also lists a number of other ACC foes in his final ten. The likes of Duke, Notre Dame and Louisville also appear. It’s also worth noting that Washington is on his list. Former Orange assistant Mike Hopkins had a good relationship with Stewart while he was scouting him and Stewart has said in a previous interview that Coach Hopkins, now the head coach at Washington, was one of the reasons why he liked SU so much. Stewart currently plays his AAU ball with Albany City Rocks. There, he is a teammate of fellow SU target Joe Girard and is a former teammate of Jim Boeheim’s son and current SU walk-on Buddy Boeheim. As of now, guard Brycen Goodine is SU’s only verbal commit in its 2019 class. The Orange’s frontcourt could take a huge hit after the upcoming season. Center Paschal Chukwu will graduate and forward Oshae Brissett could leave for the NBA. If he goes Orange, Stewart would be SU’s highest rated commit since technically Darius Bazley (too soon?). But if you don’t count that, then he would be the highest since Carmelo Anthony. I would guess Stewart will likely trim his list to three or five at some point down the line. It will be an interesting case to follow because of the local connection.